#1 was accomplished fairly quickly and without much fanfare. #2, on the other hand, is an ongoing process that all of your healthcare providers should be actively involved in. From the continual discussion of proper procedures during office meetings through implementation of administrative, technological, and physical safeguards, FirstView Eye Care Associates has always strived for security of your health information. 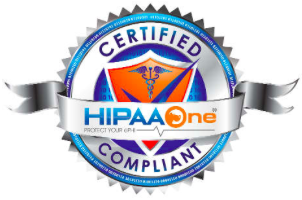 In fact, we are certified HIPAA-compliant through our HIPAA Compliance Gap Assessment and Security Risk Analysis per CFR 164.308(a)(1)(ii)(A) under the Office of Civil Rights Guidance of the HIPAA Security Rule. What’s that all mean? We do our best to ensure your information is safe. And you can be confident that we’re constantly evaluating our processes to keep it that way.